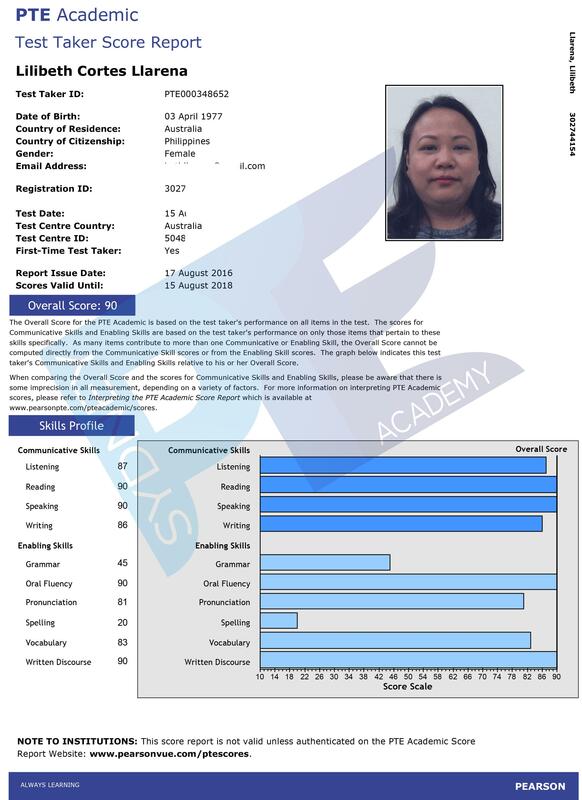 Although PTE Academic is easier than the IELTS in some respect, only a small number of test takers can score more than 80 in each section. However, in the past month, there are many students who have passed the PTE Academic test through Sydney PTE Academy. 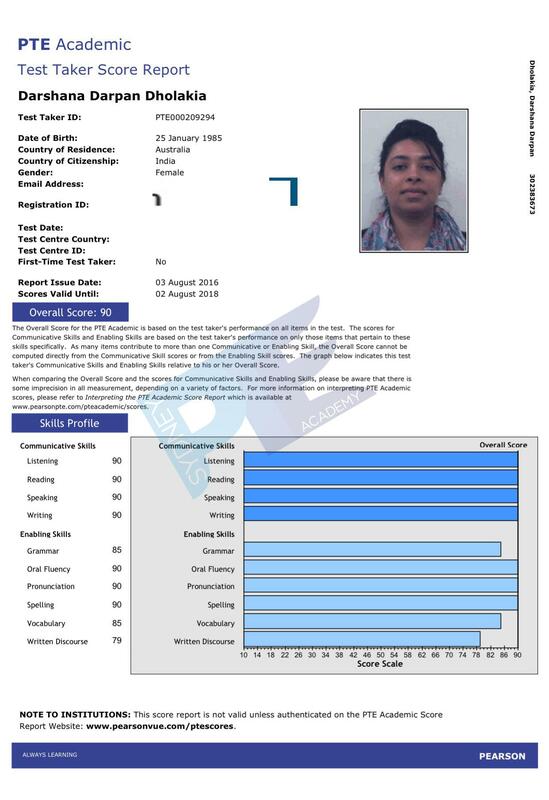 Among those students, we have received several scorecards with full marks or nearly full marks - some of them are even first time PTE test takers! Besides the strong PTE self-preparation, they followed what they had learnt at the Sydney PTE Academy. Using real exam samples, our professional tutors taught them practical techniques for all sections of the PTE Academic exam, which allow students to be more familiar with the exam format. Additionally, Sydney PTE Academy provides other things to support out students: unlimited essay marking, free online practice system and exercise materials, and mock practice before students take their PTE Academic test. It is not very difficult to get 65 in PTE Academic, but it is hard to get more than 79 marks. Our excellent tutors have scored full marks in the PTE, and they continue studying PTE exam format to better train students. In other words, Sydney PTE Academy is trying to provide the best service and teaching skills to help more students pass the PTE Academic exam. Sydney PTE Academy aims to help students with PTE exam skills, training and practice. We provide all students with computers to simulate the real exam environment. Before you make the decision to join us, we encourage you to visit us by attending our free PTE trial class, where you can experience our multi-media teaching centre and meet our professional and student-oriented experts.